(CNS): When the Legislative Assembly starts Thursday morning, the independent member for North Side will be boycotting the usual pomp and ceremony at the opening of the meeting in protest at the premier’s continuation in office while being under investigation by the police. 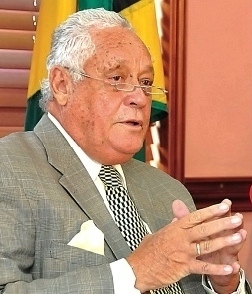 Ezzard Miller said that if McKeeva Bush will not do the honourable thing and step aside voluntarily until the probe into financial irregularities is complete, his own party members should take the lead and force him to step down and elected a temporary leader to save the country any potential embarrassment of a forced early election. “I don’t think that McKeeva Bush should remain as premier in the country’s leadership role while he is under police investigation,” Miller told CNS, as he explained that he would be standing up outside the LA under the tree until the ceremonial element is over ahead of the delivery of government’s strategic policy statement. The independent member said it would be a very short protest merely to draw attention to the need for the premier to resign and he would be going into the parliament to work on behalf of his constituents once the business of the House was underway. “The purpose is to send a signal to the UDP members to remove him from office and elect another leader to avoid the possible embarrassment of an unscheduled election,” Miller added. He explained that the Westminster system under which the Cayman Islands works allows for a political party to elect their leader, providing for a smooth transition to a member that can take the helm until such time as the premier’s situation is resolved. Bush is currently part of a police investigation related to a letter that was apparently sent from his ministry’s fax machine in October 2004, when the premier was the leader of government business. The fax is on Windsor Development letterhead, Bush’s wife’s company of which he is also a director. Addressed to Stan Thomas, a Texan based developer and former major land owner in Cayman, the letter appears to be signed by Bush and asks Thomas for $350,000, in relation to zone changes that were made by Cabinet. At the time the letter is dated, the developer owned land in the Vista Norte area of the West Bay Road, which was recently sold to Dart. The premier has said very little about the correspondence. He has referred to it as a real estate bill but has not elaborated further as the zoning fee for the particular plot had been paid by the previous land owner through the normal channels. Following confirmation from the governor’s office this summer that Bush was the subject of an investigation by the Royal Cayman Islands Police Service into financial irregularities, Miller has persistently pushed for him to step aside until the matter is dealt with. Even if the premier is completely innocent, Miller believes that for the sake of the country and its stability he should do the honourable thing. If he will not, as appears to be the case, the North Side MLA said Bush's UDP party colleagues should force the issue for the greater good of the Cayman Islands. Given that the UDP is unlikely to grant Miller’s request, the premier is expected to be delivering his government’s strategic policy statement tomorrow, setting out the government’s broad plans over the next 18 months. The government will also be debating a private member's motion filed by Miller regarding proposed changes to the Anti-corruption Commission to replace the police commissioner and other officials who are involved in the actual investigative process with neutral members. The members of the Legislative Assembly will also be facing a full agenda of bills, including changes to the penal code, the criminal procedure code and amendments to the mutual funds law, among others.The Legislative Assembly meeting is scheduled to start at 10:00am and is open to the public. Should McKeeva Bush step down as premier while the police investigation against him proceeds? 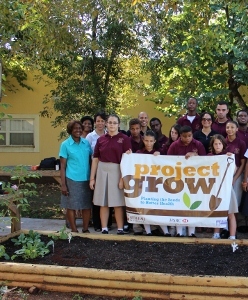 (CNS) Project Grow, a school garden initiative spearheaded by Generali Worldwide, HSBC Bank (Cayman) Limited, and Vigoro Nursery, has now set up edible gardens in six local schools, officials said this week. School Plant Days have taken place at Casa Montessori, Hope Academy, First Baptist Christian School, Lighthouse School, John A Cumber Primary and Cayman Prep High over the last few months. Annikki Brown, Country Manager for Generali Worldwide said she believed the enthusiasm and passion shown by the students and teachers involved means the programme is really going to bloom. “The students are getting their hands dirty planting their first seeds and seedlings and are actively involved in taking care of the their gardens, working with Vigoro Nursery to ensure success,” she said. The school garden project helps students and teachers learn the principles of gardening through the development of sustainable school gardens. The program provides nutritional learning while promoting sustainable agriculture as a vehicle to teach children about healthy food and where it comes from. The goal is to be able to give all schools in the Cayman Islands support for edible gardens. The importance of preserving the health of the youth of the Cayman Islands is critical and this project aims to help shift a mindset to a healthier overall lifestyle. Due to the overwhelming response, Project Grow awarded 13 schools with a school garden and supporting curriculum, with direction from Vigoro Nursery, the programs supporting sponsor. The New Year will bring Plant Days to the remaining seven schools in the program for the 2011-2012 school year. Another open call for the 2012 – 2013 school-year will be announced in May 2012. Some of the program elements that are going to be administered throughout the school year are school Farmer’s Markets, garden crafts and composting, learning the elements of basic gardening and incorporating other school curriculum areas such as math, science and life skills to tie in all aspects of the program. Project Grow has a website with full program information, school pages and blog, links to press and school resources, along with a full photo gallery of the school Plant Days. Schools are also able to blog each other through the site and shareinformation and tips. Organisers say that Project Grow will help children learn the principles of gardening. The hands-on experience helps familiarize children with the many relationships and cycles within nature providing a link to healthy eating and nutritional choices. The gardening experience itself brings other health benefits like exercise, time spent outdoors in the fresh air and a sense of well-being. It also offers new and exciting ways to address nutrition. By promoting agriculture, hands on experience and empowerment by knowledge, Project Grow will plant the seeds to better health. For more information on Project Grow, please email caymanprojectgrow@gmail.com or visit www.caymanprojectgrow.com. CNS): Despite this year’s Atlantic hurricane season being as busy as predicted by forecasters the Cayman Islands escaped the season unscathed and free from threats. Between 1 June and 30 November nineteen tropical cyclones rumbled across the Atlantic but most of them stayed clear of the local area. 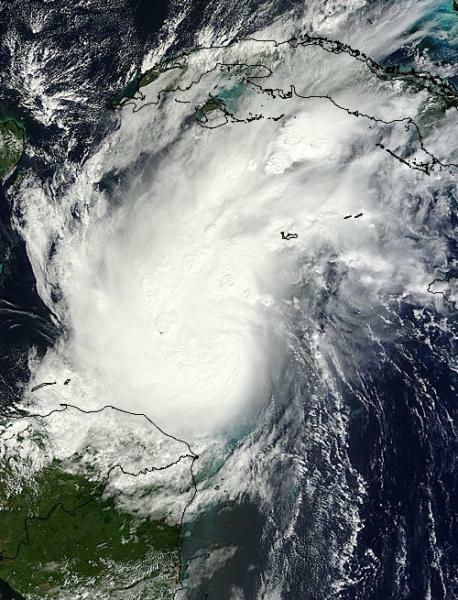 There were two major hurricanes during the 2011 season including Hurricane Rina which was the most significant for the Cayman Islands. While it was still a tropical depression some 200 miles south of Grand Cayman Rina stirred up the oceans along the south coast in October. On 24 October the depression became a tropical storm and later that same day a hurricane. As Rina moved slowly to the northwest the Cayman Islands National Weather Service issued severe weather bulletins as it started to affect the local area with rough seas, gusty winds and several inches of rain. As it moved past Grand Cayman, large swells began to impact the south and west coasts. Waves breached the coastal road in parts of George Town and along the West Bay Road. Traffic was diverted as crews from the National Roads Authority worked to clear the road of sand and debris. The season produced the third-highest number of tropical storms on record but only a slightly higher-than-average number of hurricanes, with six. National Hurricane Centre Director Bill Read said low pressure systems on the East coast and high pressure systems over the central U.S. created favourable steering currents that kept the storms mostly churning far out to sea. Hurricane Ophelia was the strongest storm of the season, at one point strengthening to a Category 4 with 140 mph winds when it was just northeast of Bermuda. Ophelia hit southeastern Newfoundland, Canada, as a tropical storm, but caused little damage. As the season drew to a close Wednesday evening weather watchers were still on alert at the NHC as weak area of low pressure located about 200 miles northeast of the northern Leeward Islands offered a slim 20 per cent chance of becoming a tropical cyclone. In Cayman on Wednesday evening the weather was cool and fresh with local forecasters calling for periods of cloudiness with fresh northerly winds and rough seas. For Cayman the most significant development of the 2011 Hurricane Season was the retirement of Deputy Governor Donovan Ebanks who has spearheaded Cayman’s disaster co-ordination plans for nearly three decades. "It is the end of an era with the departure of Mr. Ebanks," said HMCI Director, McCleary Frederick, "He has been the champion of disaster risk reduction and a calm, rational leader in times of crisis. His leadership is appreciated and will be missed." 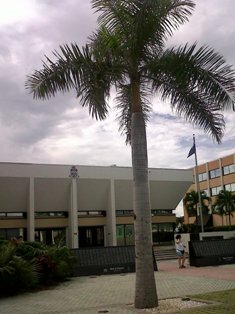 Ebanks played a critical role in developing Hazard Management Cayman Islands and the disaster risk reduction capacity of the Cayman Islands. For many years he chaired the National Hurricane Committee and then took over leadership of the National Hazard Management Council. Ebanks was at the helm during Hurricane Ivan, one of the greatest natural disasters in Cayman's recorded history. (CNS): A burglar who jumped into the canal in Governor’s Harbour last December as he attempted to evade the police was found guilty by a Grand Court judge on Tuesday, despite his claims of simply being in the wrong place at the wrong time. Justice Charles Quin convicted Andy Myles of one count of burglary after he broke into an elderly woman’s home in Magellan Quay and stole jewellery, cash and other valuables. Myles and another suspect who was never caught woke up the elderly resident to make her empty the safe but fled when the alarm sounded. Shortly after leaving the house the burglars met with police officers, who ultimately fished Myles from the canal when he fell in during the chase. As he delivered his verdict, Justice Quin said the version of events related by Myles, who gave evidence in the judge alone trial, was highly improbable. Accepting the witness evidence of the police who saw Myles and the second suspect in the area as they received the 911 report and then chased the two men, the judge rejected Myles' claims of innocence. The judge also pointed to DNA evidence which incriminated Myles, who, he said, had fabricated a story about why he was in the area only minutes after the burglary. During the trial the court heard how, on the night of the break-in, the resident of the house, who was home alone as her husband was overseas, woke around midnight to find two masked men standing in her bedroom. The home intruders told the woman to get out of bed and open the safe and although they did not harm her, the resident said she was petrified. As she opened the safe, the alarm was activated and the men ran off and she immediately called 911 to report the home invasion. Meanwhile, close by in the neighbourhood an unmarked police patrol car occupied by officers from the burglary squad received the 911 report about the break-in and as they did they spotted two men walking along the road nearby wearing dark clothes and hoods. One of the officers got out of the car and shouted, “Stop! Police!” and as he did the suspects took off. The police then gave chase and the men jumped into the canal, and while one swam away the other was eventually cornered and pulled out by the officers. The officer recognised the suspect as Andy Myles, who, although he admitted to the court that it was indeed him the police had fished from the water, claimed that had not committed the burglary. Myles says that he ran away from the police when they called because earlier that evening he had been attacked by several men in West Bay and he was afraid they were back, as the police did not identify themselves. Myles said he had "no clue about any burglary" and "wouldn't do it to a lady like that." He claimed he did not jump into the canal but had fallen in when he tried to get on a boat to avoid the men who were chasing him. But he said that when he realised it was the police he came up from the water "nice and smooth". However, with some of the stolen property and items of clothing nearby that contained Myles’ DNA, as well as his close proximity to the burgled home and the fact that he had been seen with the second man by the police before he attempted to flee, led the judge to conclude that Myles was not being truthful. “When I consider all the evidence as well as the combination of circumstances, I am satisfied beyond all reasonable doubt that the defendant is guilty of burglary with another person who has still not beenapprehended,” the judge said. (CNS): The police commissioner told a former officer sacked from the force because she refused to work on Saturdays that there can only be “one lawful command” for officers of the RCIPS and that was an “earthly one”. Following a disciplinary hearing of Sergeant Theresa Solomon, who had converted to Seventh Day Adventism and refused to work from sundown on Friday through to Saturday evening, David Baines dismissed the officer because he said she had sworn an oath to the RCIPS which she was intentionally breaching. In the hearing, which was released by the RCIPS, Baines said he could not support Solomon’s request for an exception that she not work on her Sabbath because her contract was a secular commitment. “The oath of office and employment contract are a commitment between the secular employer and employee and represent the expectations and requirements of the RCIPS and the Government of its police officers and supervisory officers,” Baines stated. “There can only be one lawful command, and that is the earthly laws of the Cayman Islands, and the commands you receive from the officers of the RCIPS." The commissioner pointed out that the RCIPS is an emergency service and all its officers are required to work 24/7 to be responsible and, when and where necessary, save and protect life. “The nature of our job is that we are unable to schedule when the call for assistance will arrive, we cannot cancel demand between sunset on Friday to sunset on Saturday,” he said. “Quite to the contrary, that period is one of the major demand periods for the police." The dismissal of PS Solomon was an unusual one, he noted, because the breach of the discipline code was fully admitted and intentional because of the officer’s conscience and what she claimed was a directive from God. Baines added that the size of the RCIPS would not allow the officer to be excused to facilitate her Sabbath without disadvantaging others and at additional cost to the organization. “You are a respected officer, well regarded by your colleagues, supervisors and myself,” Baines told the Sergeant as he dismissed her from the police service. See the commissioner’s full statement below. (CNS): Police confirmed Wednesday that the sixteen year old girl from New York who was critically injured in an ocean collision involving a jet-ski and a banana boat has been released from hospital in Miami and has travelled back to her home. A spokesperson for the RCIPS said that enquiries into the circumstances surrounding the collision which occurred last week near the Seven mile Public Beach are on-going. The teenage girl was visiting the Cayman Islands on a cruise ship when she was involved in the smash. The seventeen year old boy who was the rider of the jet-ski was also a visiting cruise passenger. The teenage girl was riding on the ‘banana’ with a 24-year-old woman and they were both thrown from the inflatable when they were hit by the jet-ski. 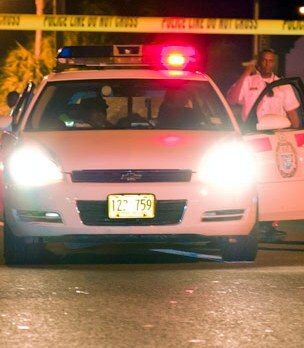 Thewomen were taken to the Cayman Islands hospital in George Town at the time and while the 24-year-old woman was released soon after the teenager was airlifted to Miami for treatment. (CNS): In the wake of news that the Cayman Islands premier led a six-man team to Jamaica this week to pick up tips about procurement, that country’s transport and works minister resigned Tuesday evening amidst a growing procurement controversy at Jamaica's National Works Agency. Mike Henry said he had tendered his resignation in light of the ongoing attacks “which continue despite the prime minister and I having acted to address the issue”. The scandal relates to a probe into irregularities over the purchase of J$62million worth of new office furniture by the NWA using contract funds from the renovation of a narrow strip of shore road leading to Kingston’s international airport. According to the Jamaica Observer, Dr Peter Phillips' comments came on the heels of news that five 40-foot containers of furniture had been discovered by Contractor General Greg Christie on the premises of the NWA, which had been procured using funds allocated for the Palisadoes Shoreline Protection and Rehabilitation Works Project being executed by China Harbour Engineering Company. Two weeks ago Auditor General Pamela Monroe Ellis revealed that, contrary to the Jamaican government’s procurement guidelines, the NWA used the sole source method to award a contract for approximately J$102m to China Harbour Engineering Company (CHEC) to refurbish the NWA's corporate offices without the required approval of the National Contracts Commission. Permanent secretary in the transport and works ministry, Dr Alwin Hales, said the furniture was not paid for out of Jamaica Development Infrastructure Programme (JDIP) funds but from loans procured under the institutional strengthening component of the Palisadoes Shoreline Protection contract. 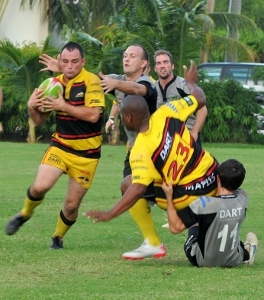 (CRFU): The DHL Cayman Storm continued a rich vein of form having overcome the John Doak Architecture Iguanas on Saturday by 10 points 35-25. In a reversal of fortune for the Iguanas who defeated the Krys Global Buccaneers in the Heineken Charity Shield match only the week before the Iguanas, fielding a makeshift back row and a shoestring reserves bench took on a Storm team who had convincingly beaten the Queensgate Pigs Trotters in the Heineken Wooden Spoon match and as usual had a full complement of replacements. 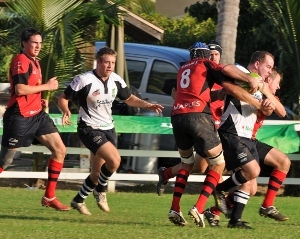 Whilst the mercurial Vanassio Tokotokovanua and Keswick Wright found no joy against another dogged performance by the Iguana backline it was the Iguana forwards who faltered at the starting blocks and allowed a waterfall of points for the DHL Storm. Claudio Sarfati found his way to the Iguana try line twice, closely followed by James Buckley as the Storm looked to run away with the game but the Iguanas, not ready to lie-down against a mounting points tally put on a comeback chase that looked to have earned the Iguanas a bonus point before Michael Sumares kicked final points of the game and ring in a 10 point win for his team. The Iguanas, going into the half time break 20 points adrift of their competitors inched their way back from the brink with Tom Mann and Peter de Vere scores but rued a disallowed Ben McDonald try and with Adam Keenan being stripped of the ball just short of the Storm try line the Storm survived a nervy 2nd half to win the opening game of the Alex Alexander Memorial Trophy season. In the second game of the day the Krys Global Buccaneers faced a Queensgate Pigs Trotters side looking to build on the previous week’s strong opening performance against the DHL Storm but again the inability to finish long phases of forward play let down the men in red as the Buccaneers beat the Pigs Trotters by 21 points 33-12. The Buccaneers, buoyed by the introduction of William Hayward who was 100% with the boot and Ronan McCarthy, who also found his way on to the score sheet looked to have fully recovered from their Heineken Shield loss and with John Murphy and Sebastien Legras also making their way to the try line Cayman rugby fans should have much to look forward to when the Buccaneers take on the Cayman Storm this weekend. The Pigs Trotters will be pleased with their ability to put points on the board thanks in no small part to the introduction of Marco du Plessis to their ranks but their defensive holes will need to be sewn up before taking on the Iguanas in round 2. (CNS): Cayman’s next young leader will be announced next March organisers of the Young Caymanian Leadership Awards (YCLA) revealed this week. Each year the awards have introduced five young leaders who are meant to be inspiring role models for the community. Thirteen years ago, the Young Caymanian Leaders Foundation (YCLF) was established to recognizeand identify these potential leaders and create the YCLA. Nominations for the 2012 YCLA are now closed and the finalists will be announced early in the New Year. “Yet again we have received some outstanding nominations identifying another impressive group of candidates,” said Melissa Wolfe of the YCLF. One of the ongoing annual initiatives of the Foundation is for the current recipient of the YCLA to reach the younger generation with speaking engagements targeted at the youth. These presentations have a strong motivational element and always relates back to the presenter and their own personal stories of hurdles and triumphs. Speaking about her experience during this past year Natalie Urquhart said that the recipients are given the opportunity to inspire others to reach their full potential. “My own platform has been about using creativity and innovation to excel in this rapidly changing world, encouraging our students to expand their mindset, choose new career streams and to not be afraid to follow their hearts,” she said. Natalie began presenting only days after the 2011 YCLA in May, delivering motivational speeches in public and private schools addressing students between the ages of 5 – 18 and she is still carrying on with engagements and community outreach. “The speeches are powerful because they are presented in the first person. Each year, the YCLA recipient shares their own personal stories, making it much easier for the youth to identify with them”, explained Melissa Wolfe of YCLF. “Every year we have a new recipient with a unique and motivating message, but overall the core message is about stimulating positive change in our youth”. 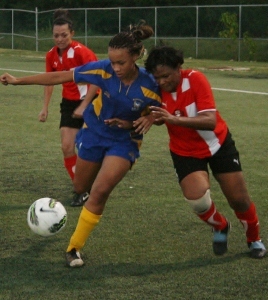 The annual Awards Show on Saturday 3 March will be televised live on Cayman27. The event has consistently filled the entire ballroom at the Ritz-Carlton with Cayman’s top business professionals and community leaders. The 60 minute live broadcast will feature videos of the five finalists for the 2012 YCLA.